Customer Relationship Management (CRM) software are a crucial component of any company’s success. Microsoft Dynamics CRM and Salesforce are two leading CRM vendors among the list of other mega-vendors that account for a large quota of the CRM market. 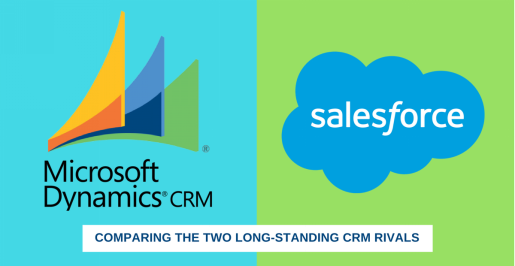 This article will offer a holistic comparison between Microsoft Dynamics CRM Vs. Salesforce for offering CRM software solutions. Our analysis will focus on showcasing the differentiators and similarities on features between the two leading CRM solutions providers. A dedicated CRM development company will help you select the right CRM solution to enhance the experience for businesses and organization by recommending and guiding you at each step of the selection. Read on to learn more about the important differentiators and which CRM program will best fit the needs of your company. The above difference between Salesforce and Microsoft Dynamics shows that both the platforms have many resemblances and dominant user bases. However, with each new update, they try to differentiate themselves in the CRM market. MS Dynamics CRM or Salesforce Let us help you choose the right CRM solution for your business, consult our CRM expert now! Here are five well-defined differences that showcase how Microsoft Dynamics CRM and Salesforce measure up against each other. User Experience: The user experience in Salesforce is a combination of a simple user interface and application utility that meets customer demands. It has a well-designed user interface that is intuitive and customizable. On the other hand Dynamics CRM’s user interface has improved over the years and now delivers a more modern user experience. It is quite adaptive to user preferences and expectations when it comes to modifying the stylesheets, tabs, themes and typography. Marketing: Salesforce’s acquisition of ExactTarget and Pardot delivers customer-specific services for email marketing and marketing automation. The Salesforce Marketing Cloud allows marketing managers to create and manage marketing campaigns and relationships with customers on the go. However, Microsoft acquired MarketPilot and with subsequent rationalization, it introduced MDM (Microsoft Dynamics Marketing) that gives users exceptional insights into customer data, enables automated multi-channel campaigns to drive tangible results, delivers more comprehensive customer engagement processes and offers unique value through Marketing Resource Management (MRM). Service: Salesforce offers excellent case management, knowledge management, and social service capabilities, while Microsoft Dynamics has made customer service a point of differentiation. It acquired Parature, Adxstudio, and FieldOne and combined them into a single solution to offer assisted service, field service, self-service, and support for professional Dynamics CRM services. Business Intelligence: Salesforce Analytics Cloud, a business intelligence software powered by Wave, leverages cloud and mobile technology to deliver more powerful and secure data, faster. Although it lacks data integration tools, there are various third-party solutions available on AppExchange. It further lacks extensibility and requires you to learn a proprietary language that can incur additional costs to rack up the monthly subscription. However, Dynamics CRM integrates with Microsoft Power BI that facilitates agile data analysis through self-service business intelligence analytics managed in the cloud for collaboration and sharing. It is a simple, all-in-one analytics solution to extract and transform functions, analyze capabilities and powerful data visualizations. 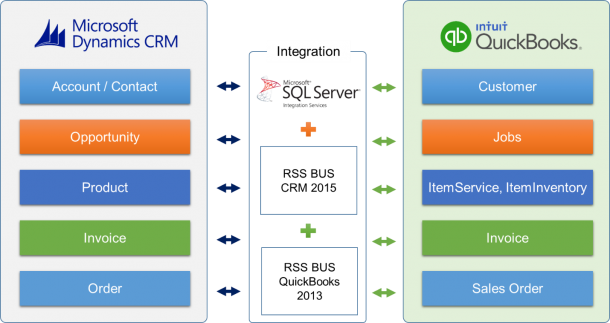 Check out one of our projects we created by integrating QuickBooks with Dynamics CRM. Customer Support: Salesforce offers reasonable phone support based on varying free structures. Customers have lesser options when onsite consultation is needed. Also, the number of Salesforce partners catering to small and mid-sized business is low. But Microsoft Dynamics is a larger and more mature consultant network with several certified partners across the globe providing comprehensive Dynamics CRM consulting services and solutions at competitive rates. Microsoft Dynamics CRM is an ideal choice if you want to work with a familiar coding language and deploy the system on-premises. Whereas Salesforce can help you keep your customer data in the cloud and allow your IT staff to focus on other projects. But Microsoft Dynamics CRM is ideal for your business because it offers better pricing and is widely used by innovative enterprises. 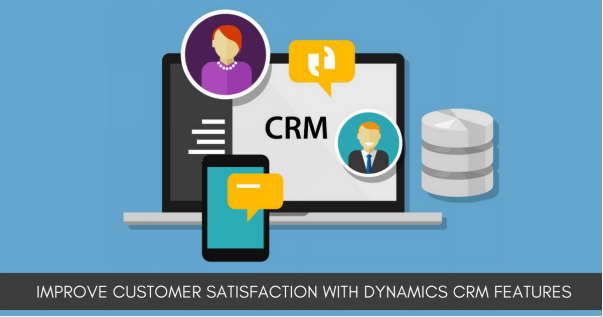 Rishabh Software is a Microsoft Certified Gold Partner providing extensive Dynamics CRM services to help you leverage the efficiency of Dynamics CRM and streamline your customer relationship management process. Get a Free ConsultationTalk to our experts to get the best CRM solution for your enterprise.